It’s a new year, and some of us out there are looking to lose some weight – once and for all. However, whether you are doing it for a personal or health reason, it can be hard. On top of that, kicking old, unhealthy habits and making lifestyle changes can seem like a daunting task. Even the strongest willed individuals have a hard time. Visualize. Take some time to imagine exactly what you want and why. Visualize 6, 12, or 18 months from now… What do you look like? What habits have you broken or built? What does your diet and exercise routine look like? How do you feel with all of these changes in place? Paint a clear image of what you want to change and why. This will help you to maintain motivation for long term change. Realistic Dietary Changes. Overly restrictive fad-diets are commonplace for rapid weight loss. Unfortunately, resulting weight loss tends to be short-lived, as many people revert back to old habits. Make changes to your diet that you can sustain in the long run. If you’re thinking “I can’t wait to hit my weight loss goal so that I can stop this diet,” then it’s not the right diet for you! Remember, moderation is key. There are some foods that can be eaten daily, and others to leave for occasional indulgence, but no foods are off-limits. Enthusiasm for Exercise! Choose a type of exercise that you’re excited about! If you are bored with your current form of exercise, or simply dread it, you will talk yourself out of it most days. However, if you choose a form of exercise that you find enjoyable and exciting, you will be looking forward to it throughout the day, and will be more likely to exercise regularly. Mindset Matters. Many people approach diet and activity changes for weight loss with an “all-or-nothing” mindset. If you set huge goals you may stay consistent for a bit, but one small slip up can send you spiraling into a free-for-all. Instead start with 1-2 small goals at a time. Once those are mastered, set 1-2 new goals, and so on. This allows you to gradually build a foundation for change that allows you to stay consistent and build new habits. Create a Supportive Environment. Consider your physical environment. What changes would support your goals? For some it may be: keeping certain foods abundant in the house while keeping others out of the house, hanging workout clothes over the TV the morning, or keeping a water bottle on your desk at work. Consider your social environment. Are there certain people that seem to intentionally or unintentionally inhibit your success with change? Have you discussed your goals with these people? Do they know how their words or actions are impacting your success? If they are intentionally undermining your efforts, how will you overcome that? Get at least 7 hours of sleep. Inadequate sleep is associated with a change in appetite-regulating hormones, resulting in increased appetite throughout the day. Suboptimal sleep may also be impacting “willpower.” Those who get inadequate sleep were found to have increased cravings for high calorie foods – such as those high in fat and sugar. This can lead to excessive calorie intake and weight gain, especially in combination with increased appetite. Utilize Health Professionals. 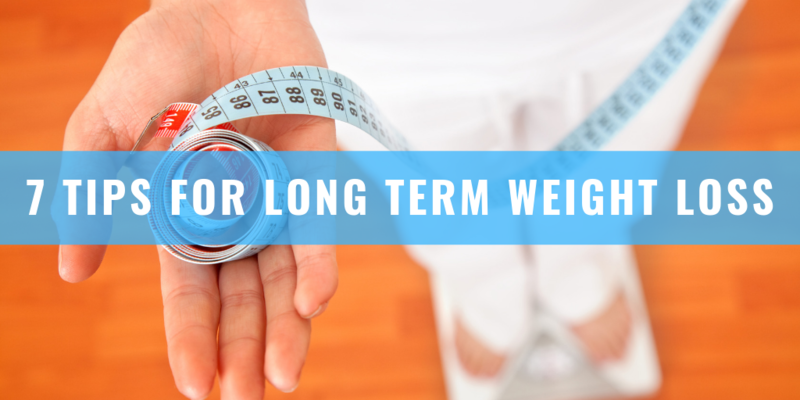 Health professionals such as: dietitians, physical therapists, counselors, sleep specialists, and providers specializing in weight management should all be utilized as needed. These professionals can help clear up recommendations, as the internet has a wide variety of often contradicting information related to weight loss. No diet craze like the keto diet, dry fasting, or any other fad can deliver the healthy weight loss results that a long-term lifestyle change can deliver. That’s what the weight management clinic at Firelands Regional Medical Center is designed to do: create habits participants can implement over time that lead to healthy, sustainable weight loss results. The purpose of the program is to help participants establish long-term lifestyle changes, not drastic, quick fixes that can’t be maintained over time. Participants are held accountable with regular follow-up appointments, and access to a dietitian provides crucial nutrition education many people need to stay motivated. The weight management program at Firelands requires a doctor’s referral, but that doesn’t mean you have to wait for your next doctor’s appointment to get into the program. “If a patient is interested in the weight management clinic, we’re happy to call their doctor, discuss the program with him/her, and advocate for the patient to obtain the referral,” said Dana. The weight management and nutrition clinic is conveniently located at the Center for Coordinated Care at the Hayes/Tyler corner of the Firelands Regional Medical Center main campus, 1221 Hayes Ave., Suite B. For further information or referral questions, please call 419-557-6550.